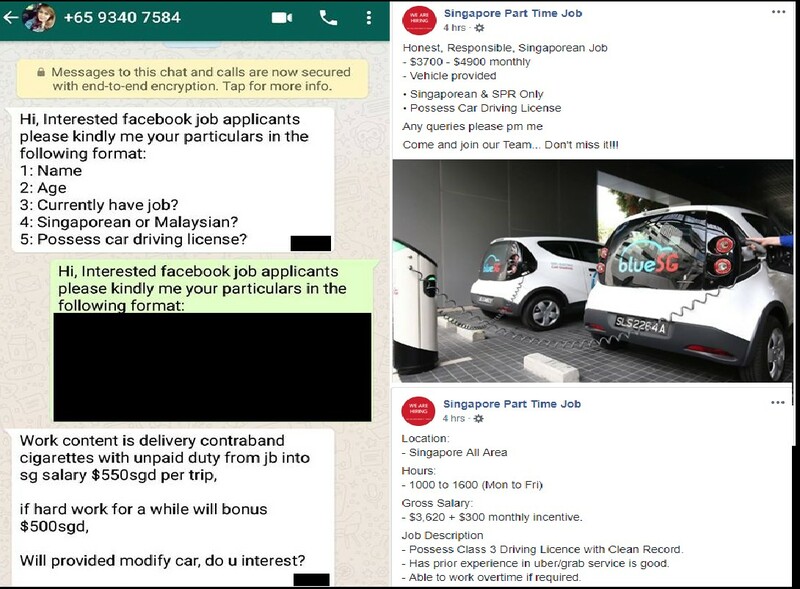 A Facebook page Singapore Part Time Job posted attractive job packages for delivery jobs. A netizen enquires to the Facebook page under the impression that a part-time job is available. The Facebook page had many packages from full time with incentives to $30/delivery. After receiving a Whatsapp from the page it turns out to be the delivery of Contraband cigarettes. $550 a trip sounds attractive but going to jail is not worth it. Previous ArticleSAF MEDICAL INSTRUCTOR HELP MAN ON SIA FLIGHT!